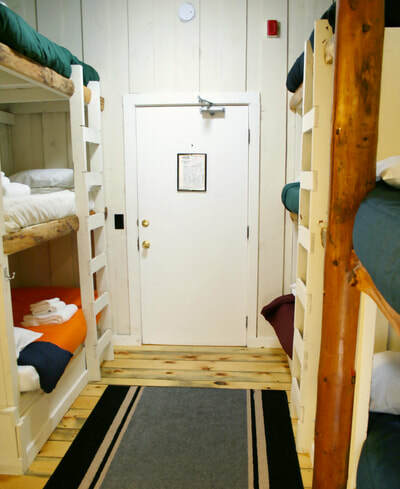 Our bunk rooms are all located together on the main floor of the Trailside Inn. All are private rooms; each with its own bathroom, including a shower, and large sink with hand-painted mirror frame. Occupancy varies between three and eight people. 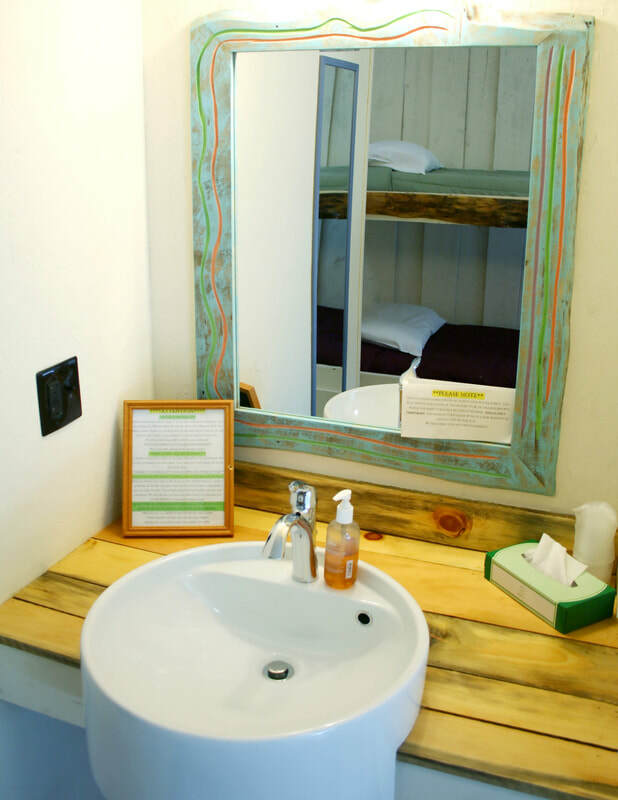 hair dryer, a generous supply of white fluffy towels, and WiFi access. 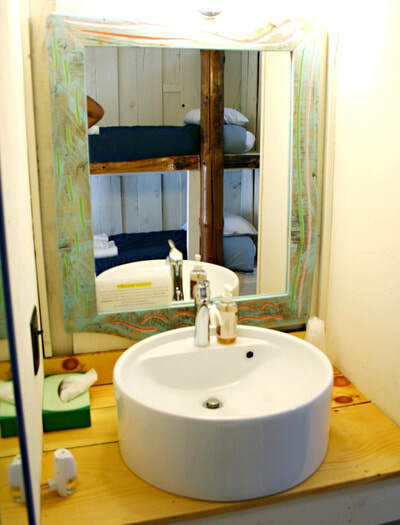 All rooms have a small window. 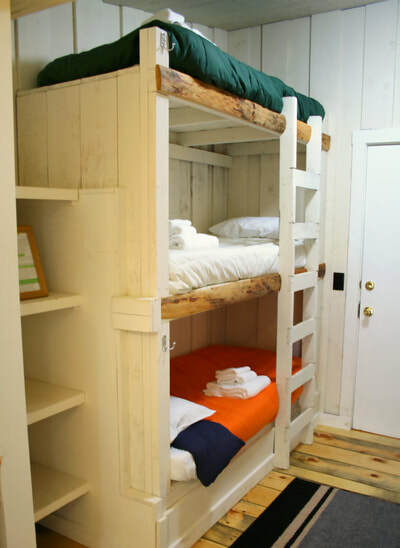 This room can sleep up to seven in one double bunkbed and five single bunkbeds. 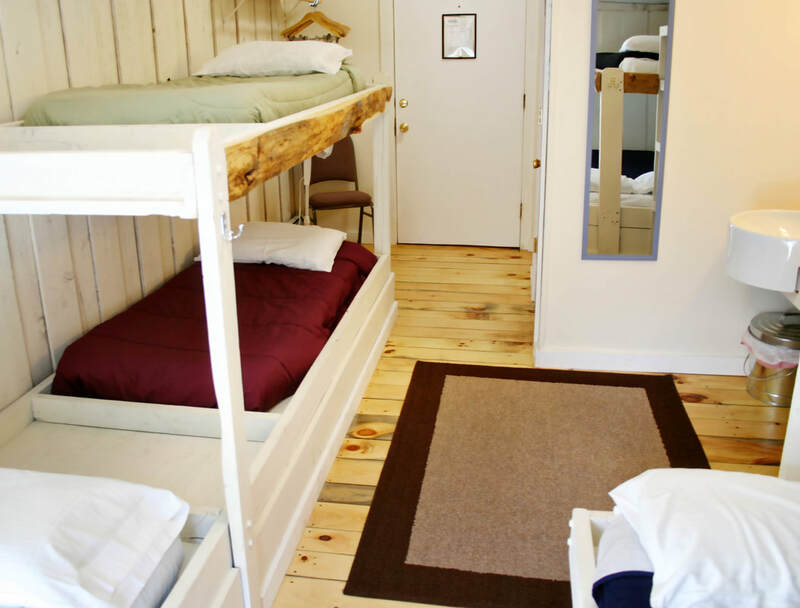 There is a 3 person minimum occupancy for this room. This room can sleep up to eight in single bunkbeds. There is a 4 person minimum occupancy for this room. 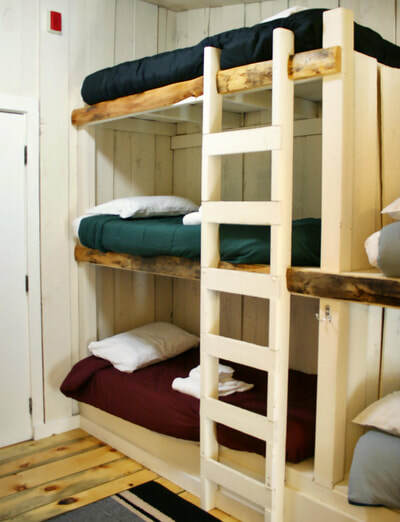 Two of the beds are located on the third tier and require climbing a ladder for access. 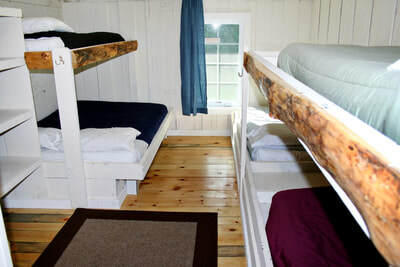 ​This room can sleep up to five in one double bunkbed and three single bunkbeds. There is a 3 person minimum occupancy for this room.